Christmas is just around the corner and this year (just like every other year) I am struggling (just like most people are) with finding the right gifts to friends and family. If your near and dear ones are golfers you can always opt for golf related girfts. Naturally the thing that makes every golfer happy is having Golf GameBook on their smartphone. And what makes you happy is the fact that our app is free. So what ever you end up giving your golfer friends, make sure to recommend GameBook for them. Or better yet, create a GameBook account for them! Besides spreading out the good news about GameBook, we’ve helped you out by composing a list of things to get a golfer for Christmas. For the serious golfer you want to give something that will actually help develop his or her golfing skills. And if a golfer already has everything imaginable (and a sense of humour) you can go for something that makes him or her laugh. 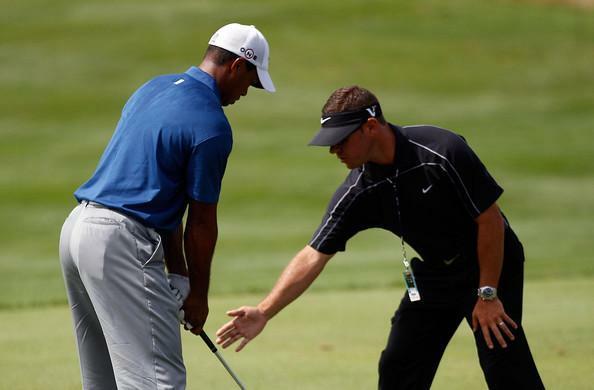 Even Tiger Woods needs some expert help when practising. It’s a fairly well-known fact that no matter the skill level, every golfer could use a lesson every once in a while. Some might have more trouble admitting this than others, but let’s face it, there is hardly a professional golfer around who doesn’t have a swing coach and take lessons. So when everything else fails this is a simple and great gift solution. You can go for a gift certificate or book a single hour-long session with the pro at a nearby club. Or why not buy a whole series of lessons if you are feeling flush. You can customize the strike zone impact bag with a photo of your enemy’s face for extra effort. If a lesson is not your choice of a gift you can opt to go for equipment. While it might be difficult to choose the right clubs for somebody else, little helpers for practising should be welcome to all golfers. There are several things that can be very useful and helpful while practising all different aspects of the game. The list is long. Swing analyzers, putting aids, swing jackets and a spray that indicates the impact position. A fun gift for somebody that you may have offended in the past is a strike zone bag for analyzing your body and club positions and adjust your swing accordingly. Attach a picture of your face and tell your frenemy to enjoy the practice! You can get personalized golf balls with both text and pictures. 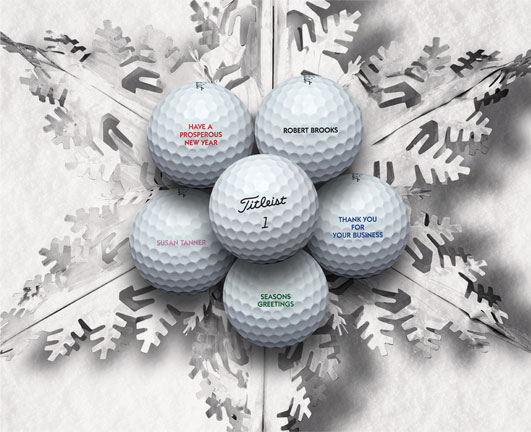 The classic of personalized golf gifts is to get golf balls branded with your own text or picture. This can be anything from your name or motto to a nice picture to mark your balls. The biggest humorists will mark the balls with the assumption that the recipient will loose them sooner or later and write “This ball was lost by…”. Make your friend feel like a superstar with the help of a personalized newspaper article. Other things that can be personalized are slightly more fun but less practical. You can choose to make your friend a golfing legend by ordering a personalized newspaper article. 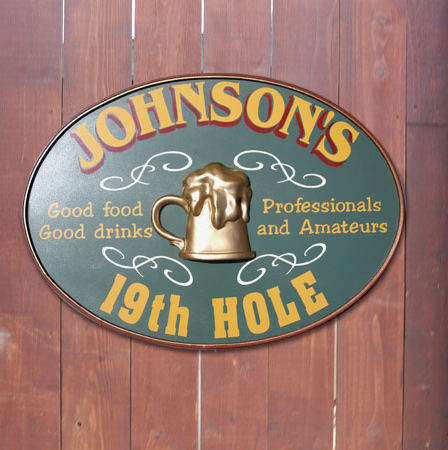 And a friend who is into cooking (or just having beer after playing golf) might appreciate a personalized 19th hole sign for his or her home bar or kitchen offering restaurant-quality food. Turn your friends kitchen into the best 19th hole in town. Find your golf balls easier with the help of these blue glasses. If you are not up for getting a friend a golf lesson to help him or her to improve their golf swing, make sure they don’t loose any more balls because of a bad shot. Golf ball finder glasses will help any golfer to spot their ball when it’s not in the middle of the fairway. The specially tinted glasses make the world appear deep blue and white objects, such as golf balls, shine brighter from the background. Keep your refreshments cool and be cool on the golf course. It looks like a pretty standard golf club but can be your secret weapon that saves the day. This club is actually a drink dispenser that you can fill in with a drink of your choice. 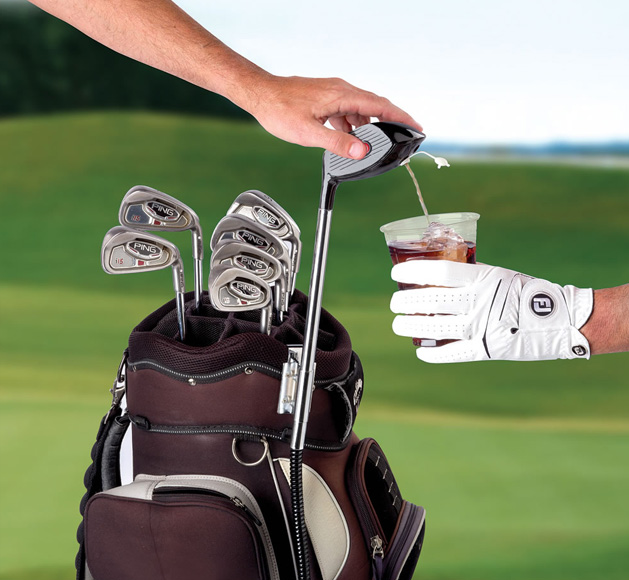 The drink will also stay either hot or cold during your round of golf as the cooler club is fully insulated. Slip into some very comfortable golf gear this Christmas. 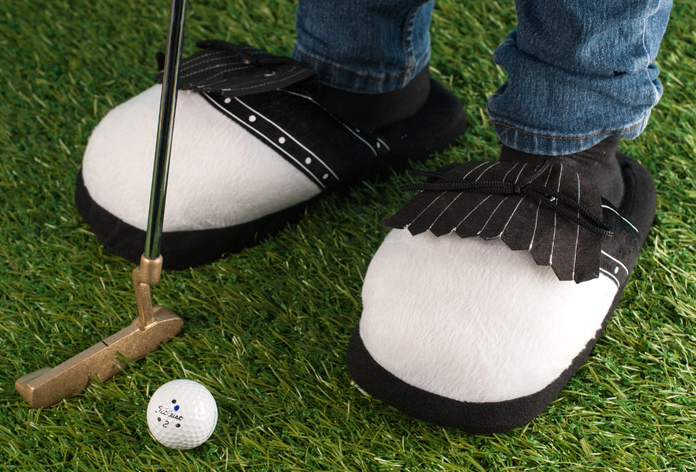 If golf is all your friend can think of and talk about even when it’s snowing outside, the right gift is a pair of cool and comfortable golf slippers. These might not be what you want to wear for the golf course but they are perfect for putting your feet up after a though round. The golf slippers are padded for extra comfort and with a golf shoe design your thoughts will never be too far from the fairways. Golf style sauna accessories – the perfect Christmas gift for a Finnish golfer. Here in Finland we love going to the sauna. And it’s a big part of many families’ Christmas traditions as well. And unlike in many other countries we throw water on the stones in the heater to produce some extra heat and steam. And if you are a golfer you naturally need a bucket in the form of a driver. Wishing you all good gifts and a peaceful Christmas!